Last year, we learned the government had secured the resources of several national collection agencies as part of its efforts of providing oversight in the private student-loan field. Calls are now being made to rein in debt collectors, improve the tracking of borrower complaints and making industry wide systems used to reward customer service. This, courtesy of a new report, reveals there are no “fair and efficient” standards used to finding and then working with borrowers in default. The report suggests collection efforts and success in those efforts are given too much consideration in the current contract awarding procedures; it also says its track record with complaints should be top priority. There’s currently around $67 billion of student loans in default and to collect that debt, the Education Department has hired 23 private debt collection companies to chase down borrowers who are not making their payments. One of those agencies is Pioneer Credit Recovery, which ironically is a unit of SLM Corp. (SLM) – also the largest student-loan company – and also known as Sallie Mae. At the end of September, there were a total of 1,406 complaints against these debt collectors. This is a massive 41 percent increase from the year before. Worse, the report suggests this number is generous since many don’t file official complaints. At this point, the balance is tilted overwhelmingly in favor of high collections and collection agency profits. It’s believed that the companies collecting student loan debt for the government received, in total, close to $1 billion in commissions in 2012. This past March, the Education Department said it was in the process of reviewing the commissions it pays collectors and proposed requiring them to let student-loan borrowers make payments based on what they can afford, rather than the size of their debt. That said, the process seems to have stalled. Chris Greene, an Education Department spokesman, said the agency hasn’t had a chance to review the report. Meanwhile, efforts to contact Patricia Nash Christel, a Sallie Mae spokesperson for Sallie Mae, has yet to return any calls. A debt collector contacted Oswaldo Campos, a college graduate who owes around $20,000 in student loans. The debt collector issued an ultimatum: pay at least $219 a month toward his defaulted student loans, or the U.S. Education Department would garnishee all of his $20,000 annual salary. Here’s the kicker: Campos had already been told he, via the program’s rules, he would pay much less each month. The reason? It’s simple: he is disabled from liver disease brought on from a blood transfusion. You’re dealing with the federal government. You have no other options. Campos, exhausted from the battle, finally agreed to have the $200+ deducted each month from his bank account, despite the fact that federal student-loan rules would allow him pay less and despite the fact he’s eligible for a Congress and Obama approved plan that would require him to pay only $50 a month. The debt collector was relentless and so Campos made hard decisions: borrowed from friends, cut meat from his diet and stopped buying gas to drive his 82-year-old mother to doctor’s visits for her Parkinson’s Disease. The Education Department is said to have ordered these collectors to “put the squeeze” on borrowers, even as the complaints continue to rack up and accusations that they’re violating several federal laws by insisting on unrealistic payment plans, even when it’s obvious some borrowers are eligible for some kind of leniency. And the problem is getting worse. As it turns out, debt collectors are the subject of more complaints to the Federal Trade Commission than any other industry – and yes, even more than credit card company complaints. Last year alone, it received 181,000 complaints. Worse, there are three companies that appear to be leading the pack, including one of the nation’s biggest banks by assets – settled lawsuits that included allegations of abuse. The suits are coming from both the state and federal levels. The Education Department is claiming it had no idea such recklessness was occurring, despite having ordered those companies to put the pressure on. Speaking of CFPB, it’s been in the process of proposing it begins overseeing the debt collectors to ensure they’re in line with all of the various laws. With more borrowers going into default, now is the time for the changes to be made. Rohit Chopra, the agency’s student-loan ombudsman, said in an e-mail. Remember, federal aid law requires all debt collectors to offer “reasonable and affordable” payments with the goal of allowing those struggling to “rehabilitate” their loans while repairing their credit ratings and repaying taxpayers as well. Currently, there are no minimum payment dynamics and all of the collection agencies have been ordered to treat each case based on the individual’s income and circumstances. Insisting that cash-strapped borrowers make minimum payments and then failing to disclose lower-cost options violates both federal aid as well as fair deb collection laws. 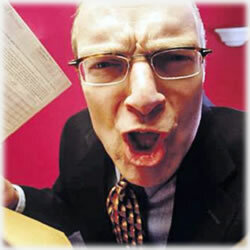 These debt collectors have an obligation to provide all of the options to borrowers. But then again, the debt collectors are living well. Their aggressive efforts allowed the Education Department to recover $11.3 billion in defaulted loans during the year ended September 30 2012. One review of government contracts and Education Department data, the private companies that work directly for government agencies received commissions of about $1 billion in the year through September, 2012. We have helped thousands of student-loan customers in default get back on track to fulfill their obligations, giving consumers the opportunity to improve their credit and providing cost savings for the American taxpayer. Hopefully, the new rules currently being hammered out by CFPB will be completed in time to go into effect later this year; July 30, to be specific. If these efforts indeed are moved to CFPB, it could eliminate many problems. Harvard Law Professor Elizabeth Warren, who helped establish the Consumer Financial Protection Bureau. They can easily earn up to 16% of an entire loan amount. The numbers: on a $20,000 loan they can earn $3,200 – and that’s $3,200 that’s not being returned to taxpayers. It should also be noted that most debt collectors working for Department of Education say if they’re not aggressive and if they don’t show results, they risk losing their job. So what are your thoughts? Do you think the wrong people are leading this industry? Do you think, based on CFPB results up until now, that it could do a better job of protecting college students? Share your thoughts with us.